Are you looking for an adventure that’ll get your adrenaline pumping? Something a little bit different and very exciting? Then Las Vegas may be the place for you. 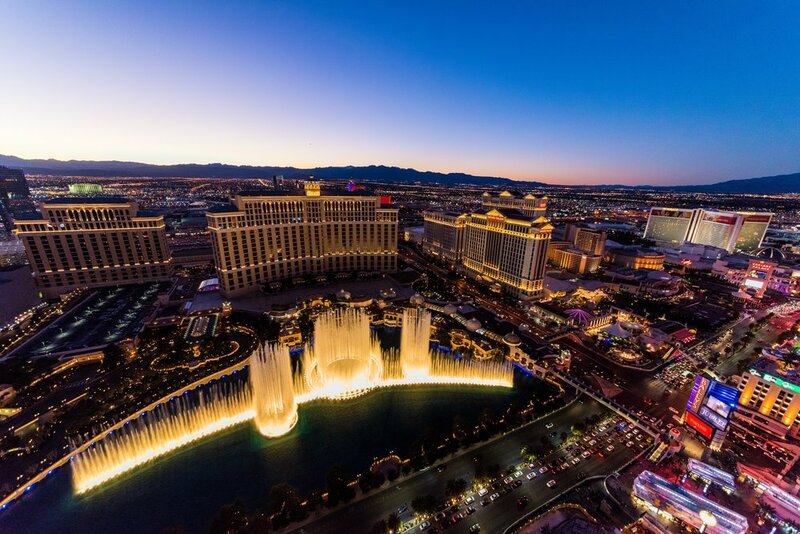 Everyone knows that Las Vegas is famous for its casinos, which is why every year millions of people flock to the city, with many hitting the slots, taking a seat at the card tables, and following the many poker tours that have scheduled stops in the city. But if you're looking for something other than card games to get your adrenaline running, Vegas has got plenty to offer. Jumping from the top of the Stratosphere hotel, falling 829 feet to the Las Vegas Strip below, SkyJump holds the Guinness World Record for the highest commercial decelerator descent. On your way down, you’ll reach speeds of around 40 mph as gravity brings you back to Earth. Jumps are available between 10am and 2am, so there is an opportunity to jump during the day and night. Jumpers must be at least 14 years old, and weight and height restrictions apply for safety reasons. Head over to the Las Vegas Motor Speedway for the opportunity to drive a number of sports cars and race cars. Experience the raw passion of Italian automotive legends Ferrari and Lamborghini, the German engineering masterpiece of Porsche, or the clinical precision of a McLaren on the famous Las Vegas Motor Speedway. Experiences take around 2 hours and drivers must hold a valid driver’s license. This 2 minute and 45 second thrill ride will see you reaching speeds of up to 67 mph as you plumet down its 144 feet drop. This 4,700 feet long roller coaster contains two inversions and a dive right on the Strip, providing its riders with a truly unique experience, combining the thrills of a multi looping roller coaster with the breathtaking views of Las Vegas (if you can keep your eyes open). If views of the real world are not your thing, then try out the 4K Virtual Reality option, which adds a new element to the ride. You’d expect a Las Vegas attraction called Slotzilla to be some sort of casino game. However, you’d be wrong, Slotzilla is in fact a thrilling zip line that is themed as a giant 12 storey slot machine. This 850 feet long, 77 feet high zip line will see you flying through the air over Fremont Street. For those feeling more adventurous, the 1,700 feet zoom line will have you flying like a superhero at over 35 mph. Las Vegas is filled with many surprising things you may never have realised existed. For those looking for an exhilarating thrill outside of the casinos you will be spoilt for choice. This selection of activities only scratches the surface of what is available, but is a good demonstration of the variety available. You can choose from strapping yourself in to a harness and having to pluck up the courage to throw yourself from a tower, to getting behind the wheel of a race car and being in total control, or experience the ups, downs, twists, turns and inversions of one of several rollercoasters.